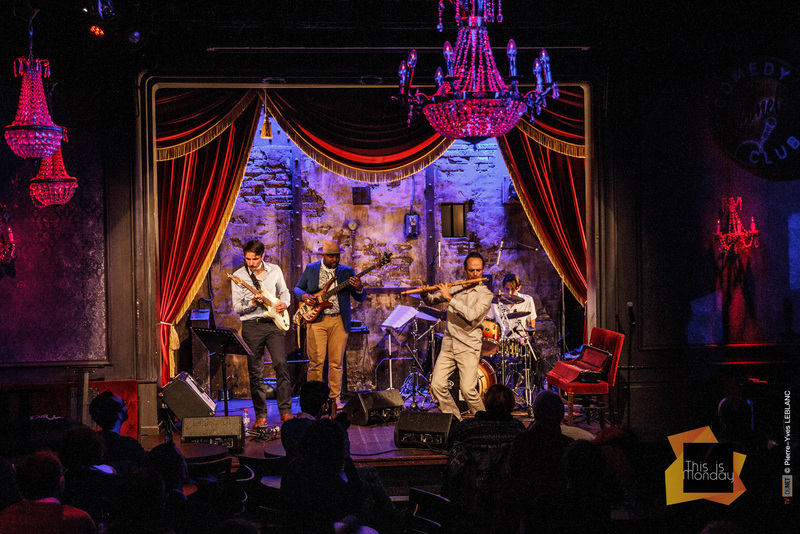 An exhilarating fusion of Indian Music and contemporary jazz with some of Paris’ finest musicians. Refracting the spirit of India through the prism of jazz, Guillaume Barraud launches ‘Arcana: The Indo-Jazz Sessions’ (on Riverboat) finding a sound that floats timelessly whilst bubbling with restless energy; setting the pure tones of the bansuri flutes against hard-edged electric guitar and moody, grooving bass and drums. Arcana is born out of mysterious mutations, where the Bansuri is combined with the electric guitar, bass and drums. Undulating or syncopated tones, an abundance of notes played with velocity, long feverish incantations reveal the instrument’s unprecedented depth. 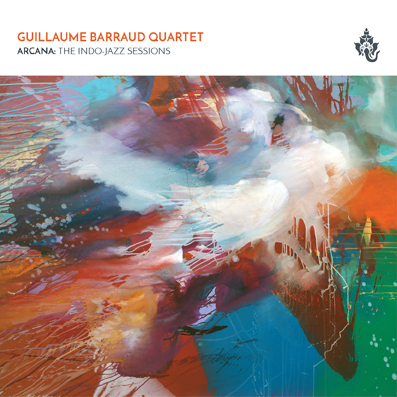 Guillaume Barraud plays with genres and moods ranging from meditations to fast-paced compositions that make of Arcana a powerful and rich album. As the leader and composer for this project, he surrounded himself with a trio of virtuoso musicians with solid references (TRILOK GURTU, IBRAHIM MAALOUF…) with British guitarist Tam De Villiers, bassist Johann Berby from Reunion Island and Belgian drummer Xavier Rogé. The album was recorded ‘live’ in just two days at the former Studios ‘Vogue’ in Paris; mixed and mastered by the renowned Philippe Tessier Du Cros and Raphael Jonin. Arcana is born out of mysterious mutations, in which the Bansuri merges with the electric guitar, bass and drums. Undulating and syncopated tones, an abundance of notes played with velocity, and long feverish incantations reveal the instrument’s unprecedented depth. Guillaume Barraud, plays with musical genres, moods and renders delicate meditations or fast-paced compositions that make of Arcana a powerful and rich album. As the leader and composer for this project, he surrounded himself with a trio of virtuoso musicians with solid references (Trilok Gurtu, Ibrahim Maalouf…) comprised of British guitarist Tam De Villiers, bassist Johann Berby from Reunion Island and Belgian drummer Xavier Rogé. The album was recorded ‘live’ in just two days at the former Studios ‘Vogue’ in Paris; mixed and mastered by the renowned Philippe Tessier Du Cros and Raphael Jonin.